New moms wait eagerly for the arrival of their first baby. They spend countless hours shopping for adorable, tiny outfits. Setting up the nursery with a crib and toys and diapers. Toiling over the perfect name for the newest addition to their family. But for mothers living in extreme poverty, these are often foreign concepts. There are no gender reveal parties or baby name-guessing games. In fact, many parents who live in areas that have a high infant mortality rate don’t even name their babies until they reach 1 month old. Why? They want to make sure their babies will survive. They want to make sure their babies will live. Because the truth is, many don’t. 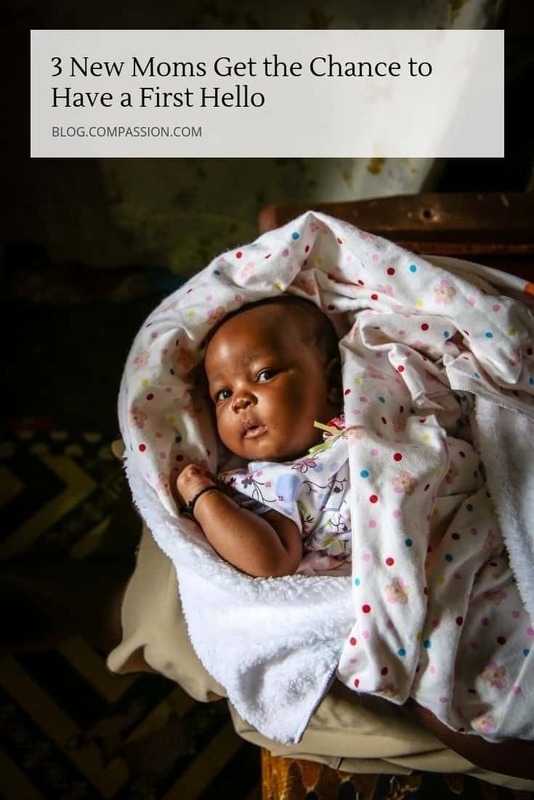 Each day, more than 7,200 babies die from preventable causes — from premature birth and delivery complications to dehydration, diarrhea and disease. But we know it doesn’t have to be that way. In fact, we refuse to let it. Compassion’s Survival Program works to save these babies and give them the best possible start in life. We want to make sure that every momma gets to say that first “Hello.” And that every baby gets to keep hearing it. 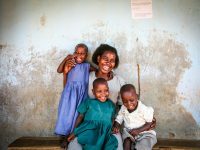 Today, we want to introduce you to three brave, beautiful mommas from Uganda — and the little miracles who make them smile. You’ll read their stories and get to follow them on a journey from first finding out they were pregnant to the first hello and beyond. Newborn baby Christine being held by her daddy, Edward. 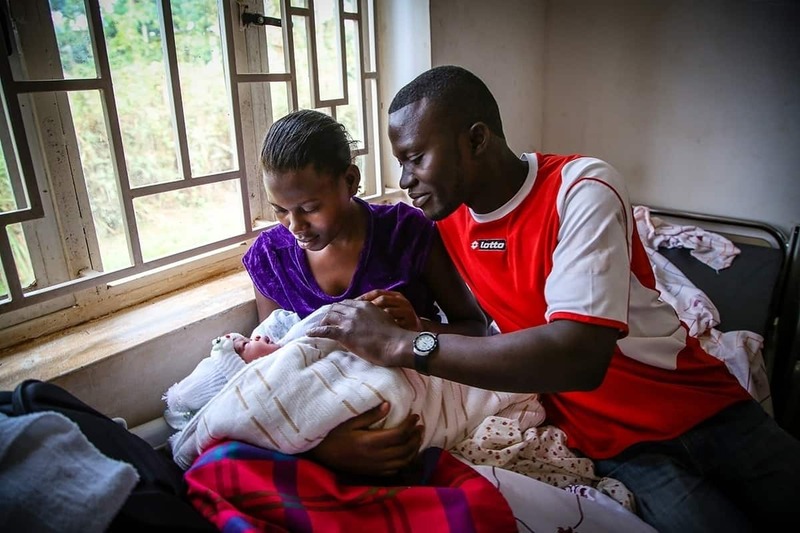 When Juliet found out she was pregnant, she became very sick. 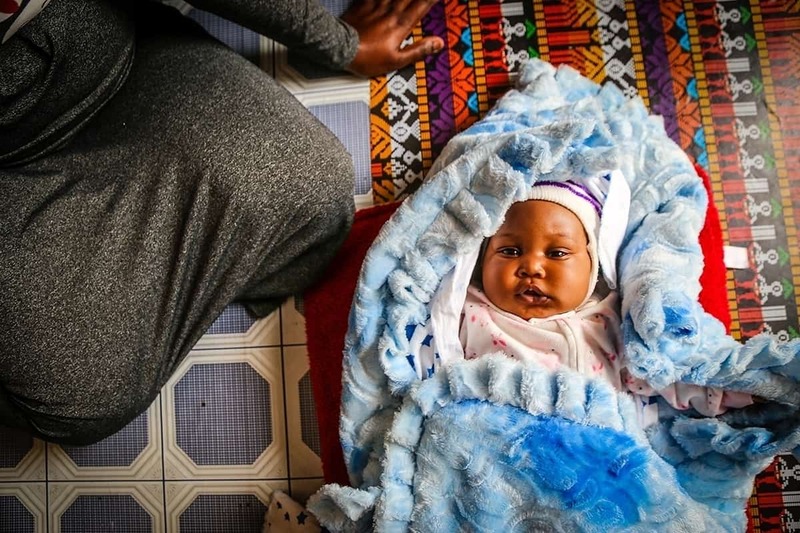 She and her husband, Edward, couldn’t afford to see a doctor — and they were told they would lose the baby. Their situation seemed hopeless. But then, Juliet was invited to join our Survival Program. From that day on, Juliet’s every need was met. When she got sick, she could go to the hospital. When she was afraid, she had a strong community. “Aunties” came to her home and taught her how to take care of herself and her baby. 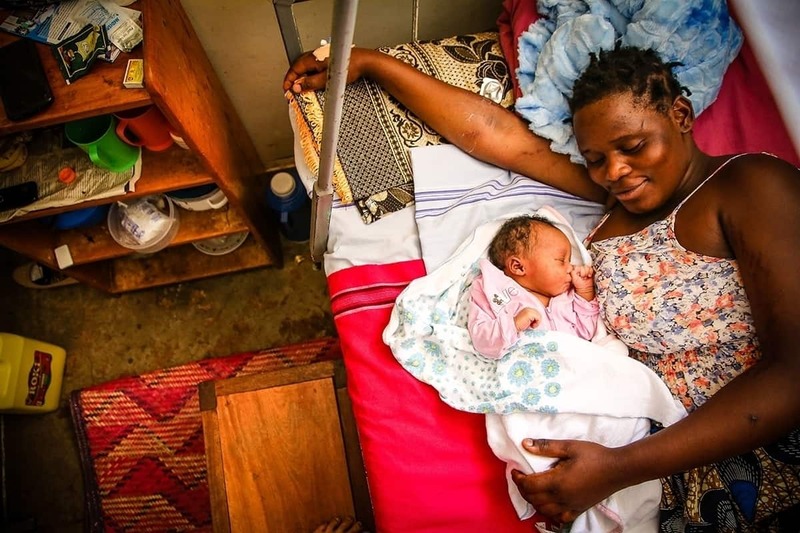 They also provided essentials Juliet dreamed they could afford, like a mattress, a birthing kit, and free monthly medical checkups. 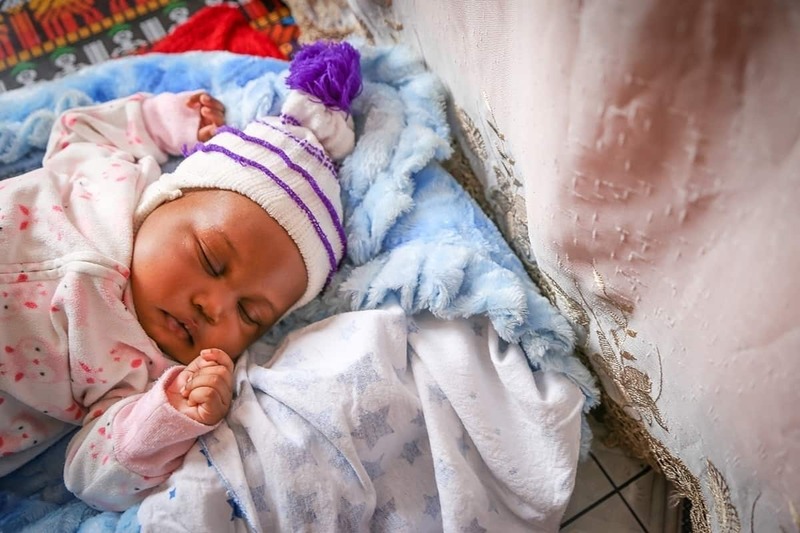 Mama Juliet holding 3-month-old baby Christine during nap time at their Compassion center. Like every mother, Juliet was scared about giving birth. But she decided to leave the delivery in God’s hands. 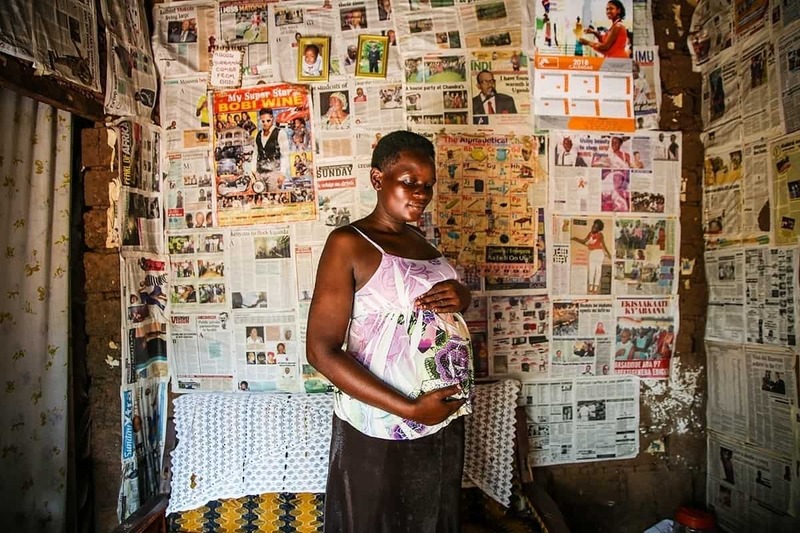 She and Edward planned to travel to the hospital on a boda boda (motorcycle), but knew that if there was an emergency, a staff member from the Survival Program would personally take them in a car. Today, Juliet and Edward have a beautiful, healthy baby girl. 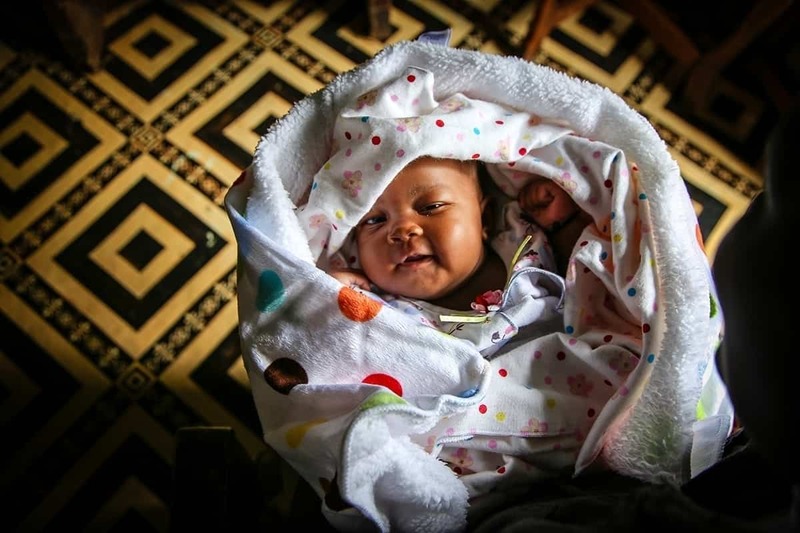 The Survival Program covered all of their hospital expenses and they look forward to what God has planned for baby Christine — named after her grandmother. Aunties from the Compassion center still come to visit Juliet and Christine every month. Juliet also enjoys participating in special group activities just for moms like her, where she’s made lifelong friends with mothers with babies just Christine’s age. Being a teenage mother is hard. And brave. Kate married young, left school, and had her first child at 17. Kate’s husband left her and she was forced to raise her children alone. Motherhood brought her a lot of joy, but also a lot of hardship. Mama Kate while she was pregnant with her baby Pamela. Kate knew about the Survival Program. But one day, a friend from church arranged a personal visit to talk about how they could help. Because she was enrolled in the program, Kate was able to have regular health screenings, scans and medication to ensure that she and her baby would have a happy, healthy start. Kate gave birth to a perfectly healthy little girl. She named her Pamela Grace, after one of the Survival staff members who had stood by her side throughout her most challenging times. Kate and baby Pamela at 3 months old in a class at their Compassion center. As a single mother, Kate continues to appreciate the constant support from the Compassion center at her local church. 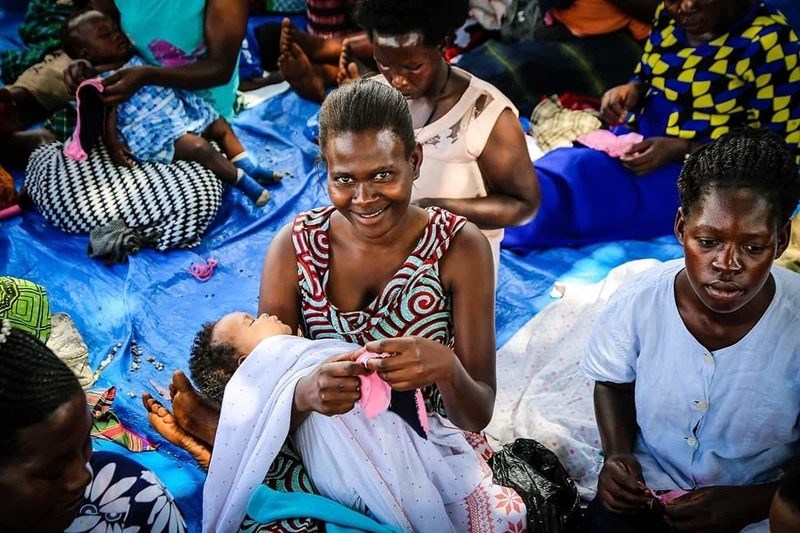 She is not only receiving regular checkups and health care for herself and her baby, she is learning income-generating skills like hairdressing, jewelery-making and cooking. Soon, she hopes to start a business selling tea and porridge to support her family. Rahuma married young. When she found out she was pregnant, she worried about what her family would think. She wondered how she would provide for her baby. She thought about having an abortion but decided to give her child a chance. One day, women from Rahuma’s local church came to talk to her about Compassion’s Survival Program. She was welcomed into the program, even though she had different religious beliefs. 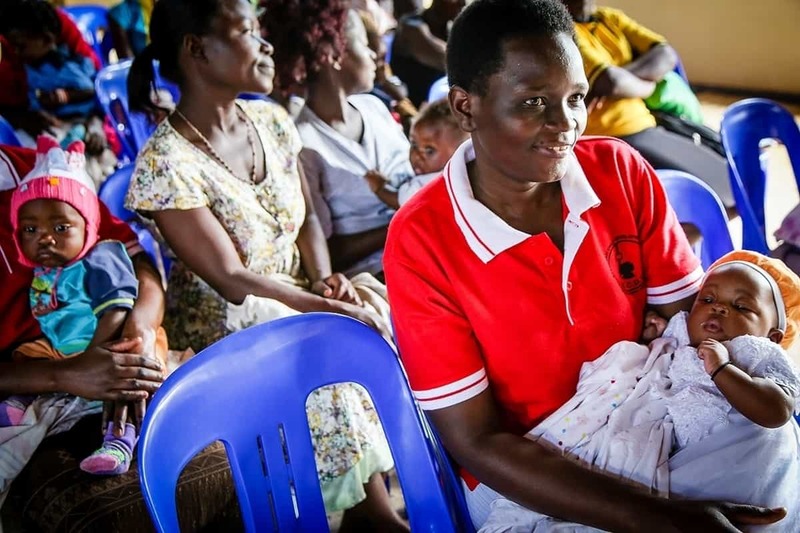 The excited young mother was given prenatal care, parenting guidance, financial assistance, classes on job skills, and support from a very special mentor named Aunt Lydia — a woman who became a close friend and confidant. 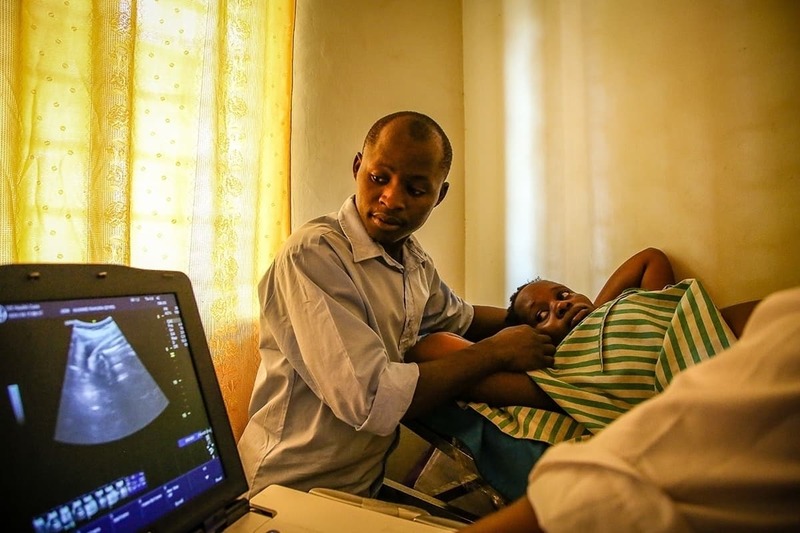 Rahuma and her husband at checkup during her pregnancy. But even with this help, Rahuma and her husband were worried about giving birth at her local government hospital. One evening, Rahuma started bleeding. She immediately called Aunt Lydia. The center arranged for transportation to a safe, clean hospital — a privilege Rahuma and her husband never imagined. But after hours and hours of painful labor, Aunt Lydia had a feeling that something wasn’t right. She had never seen a labor go on for this long. She had never seen a girl in this much pain. So she asked the doctors about the possibility of an emergency cesarian. The doctors took notice and decided to perform the operation, saving the mom and baby’s lives. Mama Rahuma and her newborn baby Faith. Rahuma still visits the Compassion center. She learns new ways to keep her child healthy and new job skills, like bookmaking. 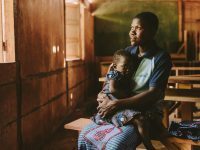 She has medical care, support from a loving community, and most of all, hope for her precious baby Faith. Our Survival Program helps moms and babies like Christine, Pamela and Faith stay healthy, happy and strong. Follow along on the blog as Christine, Pamela and Faith grow. You won’t want to miss what’s coming next. Or the chance for more hellos. Give the gift of a First Hello to a new mom today! 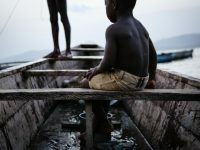 Photos and stories collected by photojournalist Helen Manson. What wonderful gifts these babies are! We haven’t met the littles ones or the parents, but just know that we love then all. Thank you for the love and care you share with these precious little ones. We love you! Wow! 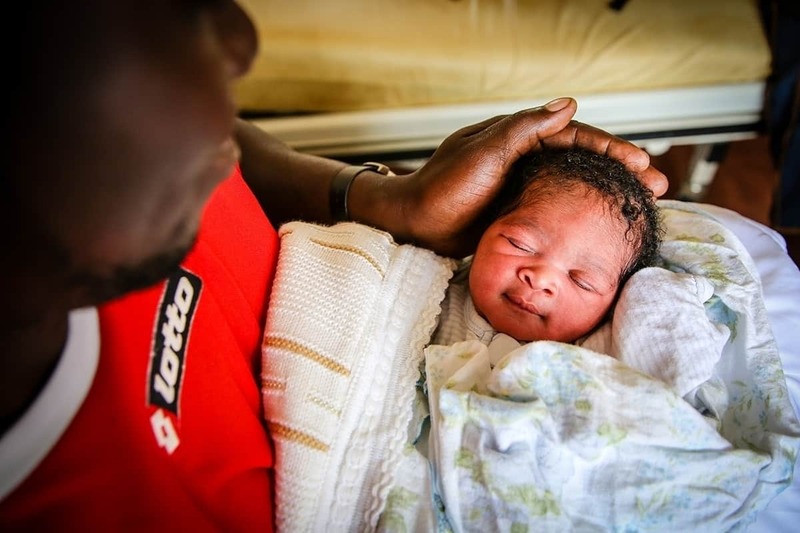 These are great stories to know that even in the midst of the lack the baby is received with Joy. Thank you for putting this information together. I’m doing my prerequisites for nursing right now. I plan on becoming a nurse. I want to do what those nurses do for those mothers. After I get my degree how do I become involved and do the same thing as those nurses? Beautiful stories of hope and love!!! Thank you for sharing!